Rossmann Group commenced its activities in 1922 when Lucien Rossmann established a flat cardboard factory in Strasbourg. Sixteen years later the company began manufacturing corrugated cardboard in its factory located in Sainte-Croix-aux-Mines in France. The company grew from strength to strength and twenty years later established another factory in La Vancelle for the production of corrugated cardboard whilst the Sainte-Croix-aux-Mines factory began specialising in the manufacture of paper. By the late 70s, the company was ever expanding and under the direction of Bernard Rossmann the company took control of SOFPO, a corrugated cardboard factory in Exideuil. By the mid-80s, as chairman of the CHARFA Group, Bernard Rossmann had acquired full control of the corrugated cardboard sector including the companies CELTA, SICAL and VALSCIUS. After having dominated the local market, Rossmann Group began its international expansion with the acquisition of SONACO in Ivory Coast in 1986, followed by further take overs in Burkina Faso, Romania, Poland, Spain, Belgium and Ghana. With 24 industrial sites, 21 located in Europe and 3 located in Africa, today Rossmann Group is the leading French independent producer of corrugated cardboard in both Europe and Africa. 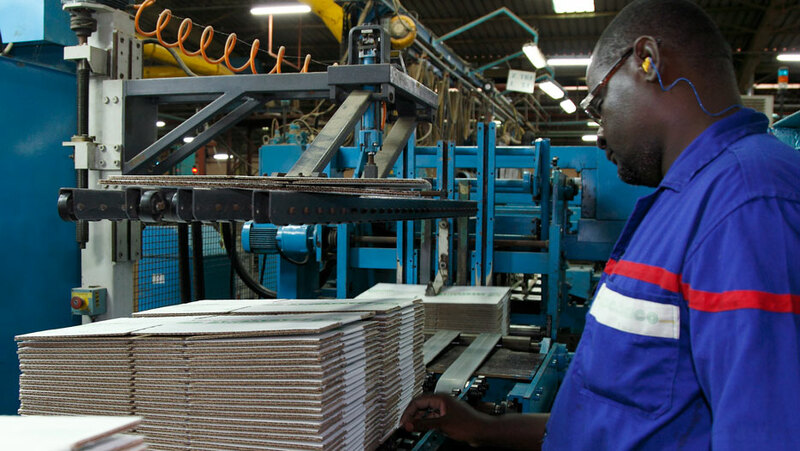 The company manufactures 400,000 tonnes of corrugated cardboard and 210,000 tonnes of paper annually and employs nearly 3000 staff. Rossmann Group began its international expansion with the acquisition of SONACO in Ivory Coast in 1986. With a “Passion for Packaging” as the Group´s slogan, Rossmann Group specialises not only in the manufacturing of packaging products but in the processing, printing and storage of these products. Clients benefit from a dedicated R&D department with over 50 experts who are always ready to create a product that meets each individual client´s needs. The company not only produces corrugated cardboard but actually owns the paper mills that feed all of its corrugators. The Group only manufacture paper made of recycled fibres as part of its commitment to environmental sustainability. Packaging made for the agro-food sector represents 45% of the Group´s revenue. The company manufactures packaging for all sorts of comestible products ranging from fruit, baked goods and boxes ready to display on the supermarket shelf, to packaging for dairy, fish and meat that requires refrigeration. Aside from the agro-food sector the packaging specialists also create solutions for the textiles, furniture, automotive, chemical and pharmaceutical industries. Rossmann Group is expert in producing packaging that conforms to the demands of creativity, reactivity, quality and safety. The Group understands the need for packaging to be not only practical but hygienic, attractive, cost effective and protective. With decades of experience, Rossmann´s know-how is recognised worldwide and the Group often acts as an independent advisor who can recommend efficient solutions for a wide range of clients from all sectors. By analysing the customers´ products, their current and future needs, and their environment, the Group can facilitate the choice of packaging that best suits the product. There are over 150 designs on the company’s unique CRE@PACK® computerised library so that each client can find an eye catching, multi-material solution that can be tailor made to fit their product. There are many different solutions depending on formation, loading and closing operations. Rossmann Group has the latest, state of the art machinery in order to create the best packaging solution, whether it be trays, wraps around, RSC, mechanised packaging, shelf ready packaging, packaging for industry, pallets, octabins, fan folding packaging, partitions, wedges, celtapyre or crates. Packaging made for the agro-food sector represents 45% of the Group´s revenue. Over the years, Rossmann Group has built a strong presence in West Africa, with facilities in Ghana, Burkina Faso and Ivory Coast. SONAPACK Ghana Ltd is a subsidiary of Rossmann Group and is located in a large, modern facility in the Tema Industrial Area. It was incorporated into Rossmann Group in 2007 and has grown rapidly, becoming a leading manufacturer of quality corrugated cardboard products particularly for pineapples and bananas and for the industrial sector. Large investment has gone into this subsidiary, installing state of the art machinery and equipment, and in training the 162 staff on site. From this Ghanaian subsidiary, Rossmann Group also exports its packaging products to Togo and to Benin. 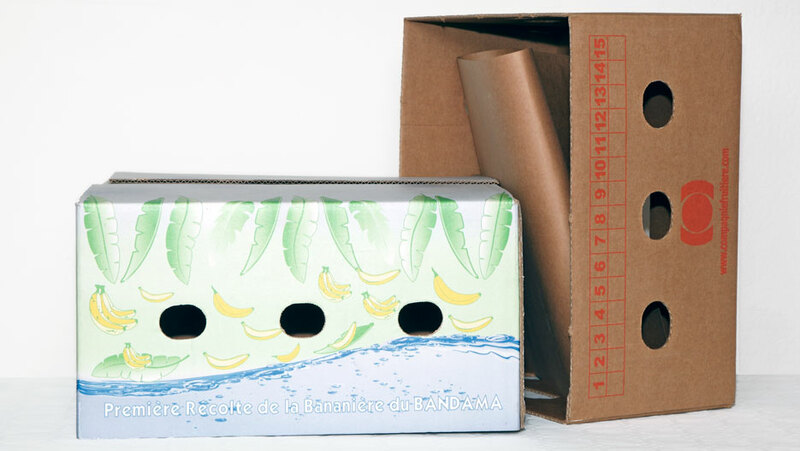 SONACEB is the Rossmann Group subsidiary in Burkina Faso that specialises in the manufacturing of corrugated cardboard packaging for fruit and vegetables particularly green beans and mangoes, as well as for garden products and the industrial sector. 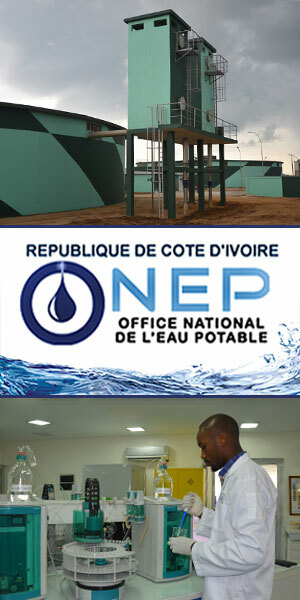 The facility is located in Bobo-Dioulasso and they employ around 30 staff. Rossmann Group is present in Ivory Coast under the subsidiary SONACO, which also specialises in corrugated cardboard packaging particularly for fruit such as pineapples and bananas as well as for the industrial sector. It is the largest industrial site manufacturing corrugated cardboard packaging in West Africa and employs 279 staff. It is also the largest subsidiary of Rossmann Group in West Africa and has attained the ISO 9001 certification which means that SONACO´s products match the quality of those manufactured in Europe and the United States. SONACO has become a leader in its field due to the Rossmann know-how, quality and pricing. Managing Director Jérome Meplon states: “Africa is experiencing a new era, with competent, talented people that have studied either in Africa or further afield... it is a very interesting melting pot”. 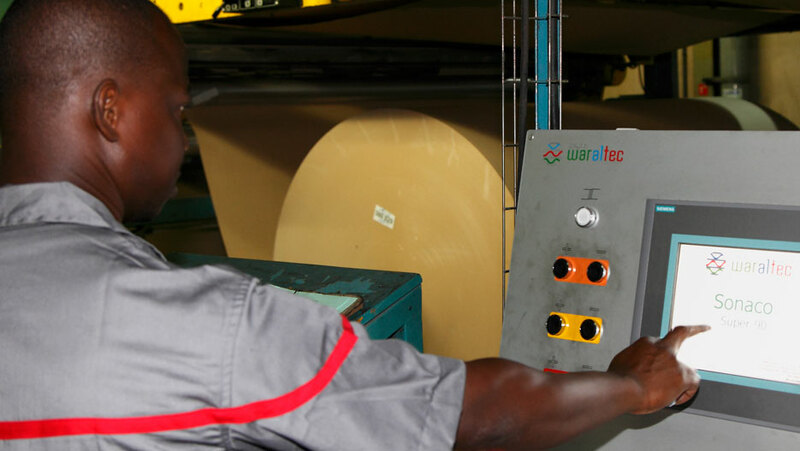 The African packaging market differentiates itself in that it uses a particular kind of paper called Pure Kraft, which is a first press paper that is rarely used in Europe anymore, having been replaced by recycled paper. However, as it is resistant to humidity it is well suited for the African market which in many areas has a humidity level of 90% and where the company´s packaging is often used to carry fruit such as bananas, pineapples and mangoes which are typically humid products. SONACO´s Pure Kraft products are highly sought after as they are recyclable up to 14 times. SONACO is the largest industrial site manufacturing corrugated cardboard packaging in West Africa. SONACO has experienced double digit growth over the last three years and is growing year on year. Managing Director Jérome Meplon believes this growth is not just due to the positive development of the Ivorian economy but due to the strategies that the company put in place. He states that Rossmann Group anticipated the country´s growth and invested in extremely sophisticated material that allows them to meet the demands of the African and Ivorian markets. He states: “the packaging and cardboard sector is developing tremendously...the sector has become vital and we have a product that is essential”. With Ivory Coast´s economic growth, SONACO´s clients are increasingly demanding eye catching, innovative and sophisticated packaging and the demands in terms of marketing and positioning are the same as one would find in Europe. This is where the know-how and recognition of Rossmann Group is a great advantage in securing the best machinery, materials and financing. In fact, SONACO has recently acquired new packaging machines that allow cardboards to be formed directly on the packing line and they are the only company to have such machinery in Ivory Coast and even in the West African sub-region. SONACO not only is a leading player in the Ivorian market but it also exports to Mali, a market that is rapidly developing for the company and where it supplies packaging for mangoes, pasta, mineral water, oil and coffee. Some of SONACO´s big name clients include Nestlé, Cémoi, Cargill, and Unilever to name but a few. These clients demand excellent standards in terms of printing quality, traceability of paper, sustainability of forest agriculture, environmental standards, etc., and Meplon is proud to say that SONACO “is the only one in the sub region capable of meeting these types of standards”. The know-how and recognition of Rossmann Group is a great advantage in securing the best machinery, materials and financing. Rossmann Group views its employees as family and is constantly striving to aid in the professional and social development of its staff. In Ivory Coast, SONACO offers staff a sick bay, a family doctor and a staff canteen. There is also a housing service for those that wish to use it. In the community, SONACO works together with other organisations such as SOS Children´s Villages as well as with sports clubs, and the Ivorian National Professional Development and Training Centre that is linked to the Ministry of Culture and which has certified SONACO as a training centre qualified to give courses in matters of electrics, printing and other specialised areas. SONACO´s Managing Director states that the company aims to “create a talent pool of young Ivorians” and has launched a significant teaching campaign in order to train its staff. Jérome Meplon is very optimistic about the future for both SONACO and Rossmann Group in Africa. He believes they shall continue to see double digit growth and states that the Group is investing heavily in SONACO, particularly in new warehousing and modern packaging stations. He also refers to the Group´s strategy to further conquer the English speaking African market with its leading quality and expertise.